A stirring eco-novel about a relationship on the rocks set against the idyllic backdrop of a Nordic summer. Emma, Joel and their young daughter, Fanni, spend the summer at their island hideaway in the Finnish archipelago. Emma suffers headaches and hallucinations caused by the livid scar on her head. Struggling to remember how it got there and what happened before the summer, she begins to drift away from Joel, as she and he, in turn, tell their points-of-view with interjecting conversations between Fanni and her grandfather. 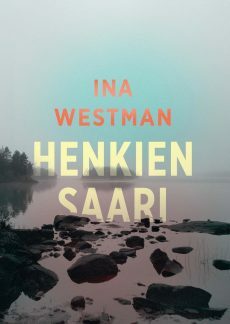 Evincing the atmosphere and intergenerational dialogue of Tove Jansson’s The Summer Book, Ina Westman skilfully navigates Emma and Joel’s relationship, peeling away the layers of themselves as their shared future hangs in the balance. Can they find their way back to each other? Emma must learn that in order to save others, she must save herself first. And can she remember what happened to her before her nightmares subsume her entirely? An often haunting, beautiful and layered narrative of a couple at sea with each other and the uncomfortable truths of climate change, racism and migration. An homage to Tove Jansson’s writings, which tackled similar themes, the novel also draws comparison to Philip Teir’s novel, The Summer House, and Elina Hirvonen’s novels. English sample translation 60 pp.